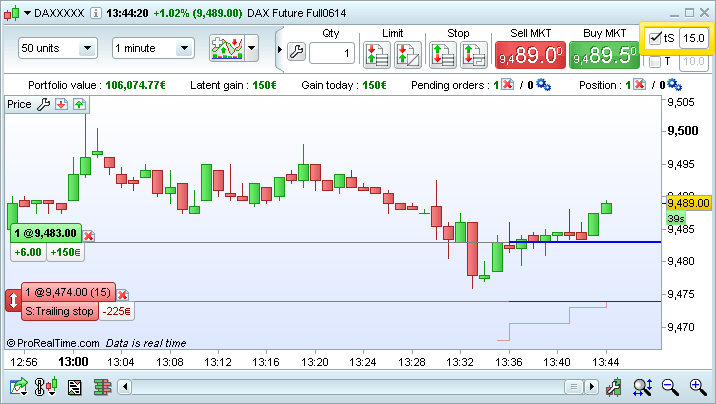 The quick access interface now lets you link trailing stops to a main order. You can now view your recent executed orders on charts by adding the indicator "Recent executed orders". 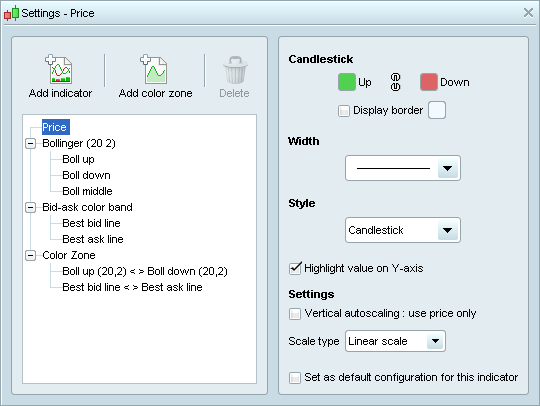 You can configure this option from the "Trading Options" > "Statistics & Order display" menu. It is now possible to place and view orders on all price chart styles. Reminder : you can also create your own indicators by programming or import indicators created by third parties. In the "Indicators ..." window, you can now choose favorite indicators. Once an indicator has been marked as favorite, you can access it quickly from your charts. It is now possible to add color zones to both closed objects and open objects such as channels (free drawn channels, Raff, Fibonacci and standard error channels), Fibonacci retracements and expansions, and the ruler tool. To add a color zone, right-click on an object to access its settings and choose the color. If you want the color zone to be always applied to objects of this type, choose "Set as default configuration". The arrow in the upper-left corner of the charts lets you quickly change the instrument displayed. You can directly click on a recently displayed instrument or enter an instrument name / ticker in the search bar. 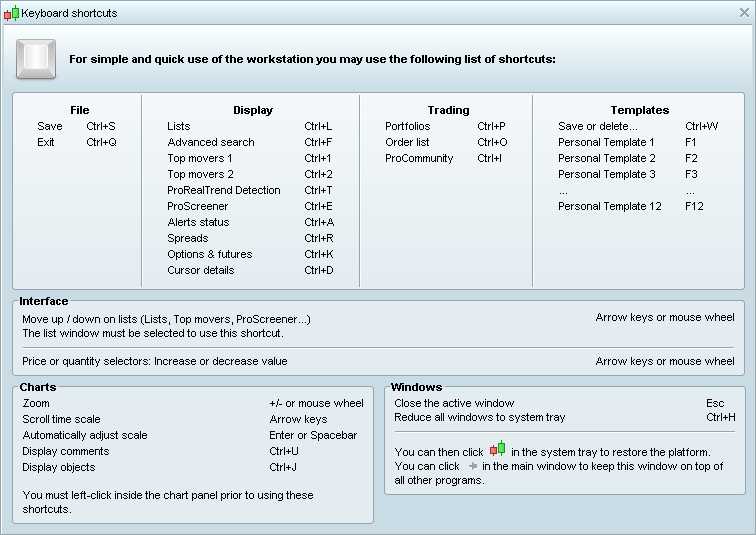 Quick instrument switch is also available for order books and tick by tick lists. To change the instrument of all charts displayed, you can link them to each other. 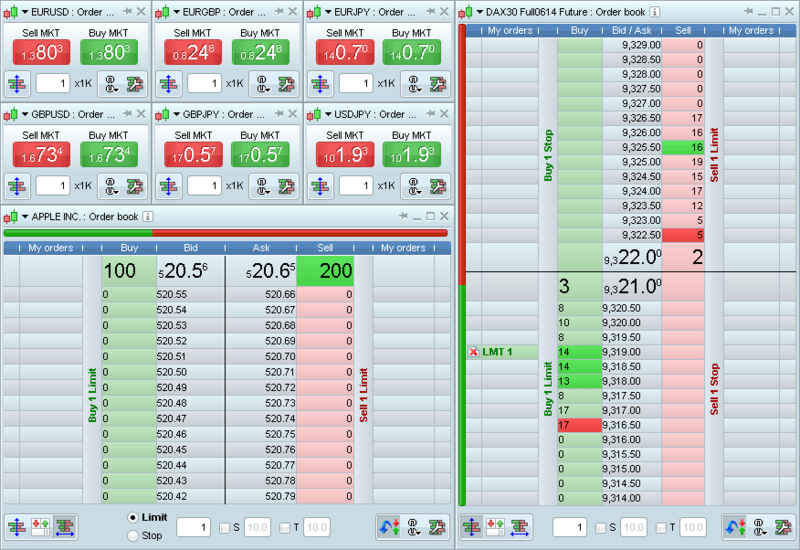 ProRealTime 10.2 lets you gain screen space in several windows to let you display more content that is important to you. The main window can now be displayed on two lines (instead of three previously). 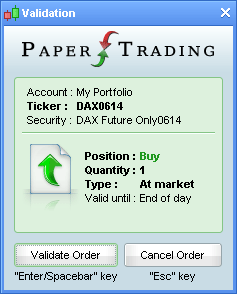 The vertical order book can now display more lines in a window of the same size. The best bid/ask view order books (mainly used for forex) have also been improved. Several other windows have also been redesigned to gain vertical space. 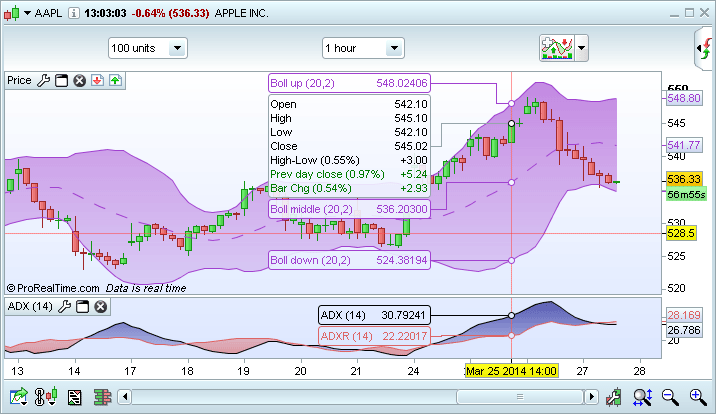 Trading information displayed at the top of charts has been compacted to save more than 50% of vertical space. It is also possible to hide some or all of this information from the menu "Trading options" > "Statistics & Order display". ProRealTime v10.1 already let you confirm or cancel orders with the "Enter" or "Esc" keys of the keyboard to save time. 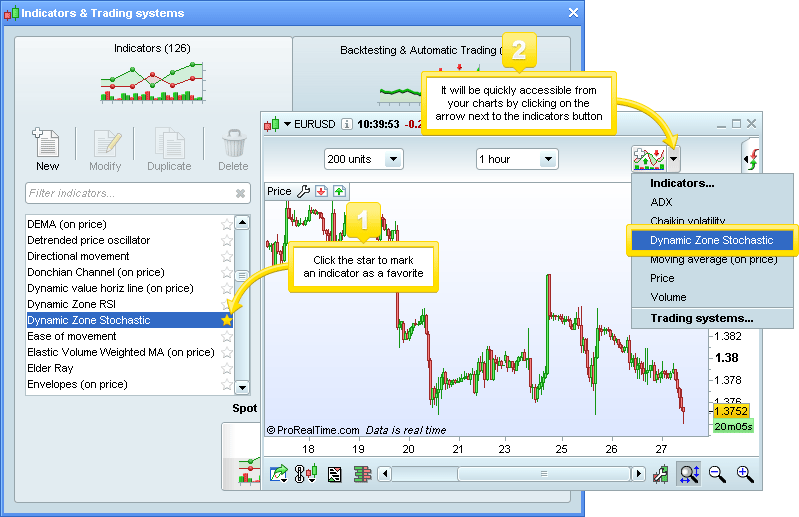 ProRealTime 10.2 applies this method of confirmation to additional messages and popups of the platform. New keyboard shortcuts are available. A quick search tool is available in the indicators, trading systems, and ProScreener windows to help you quickly find what you are looking for. The indicator properties window has been redesigned. The lines which compose each indicator are now displayed as attached to each indicator for a clearer display. 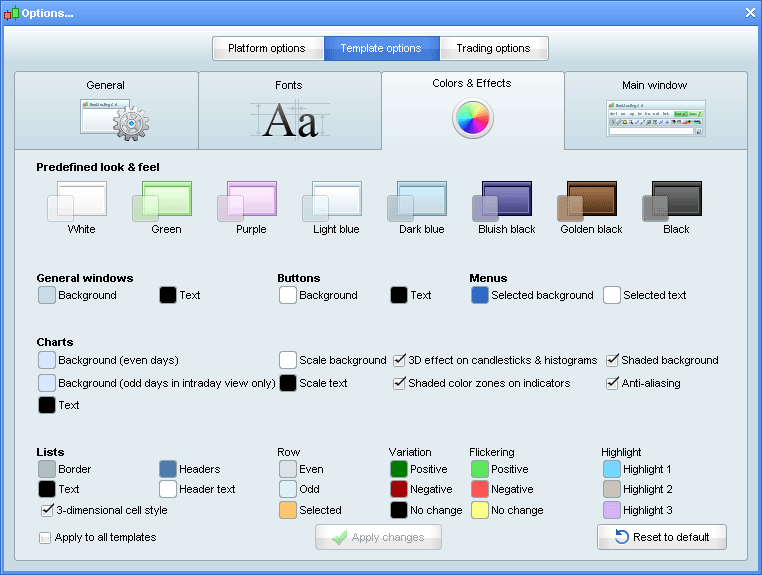 You can now customize your cursor by choosing its color, thickness and type via the "Template Options" > "General" menu. 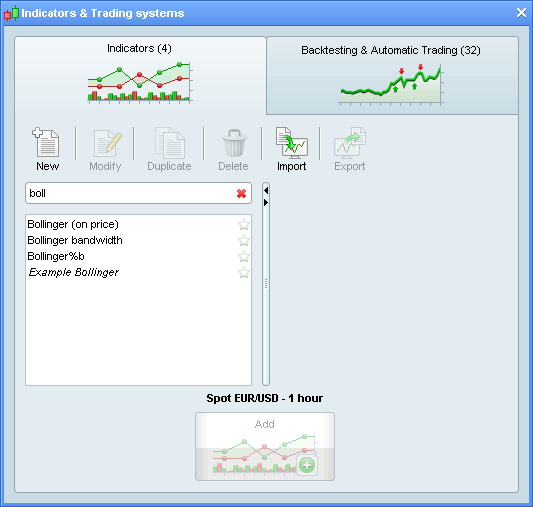 Graph lets you chart variables that you use in your trading systems. FlatBefore=HHMMSS and FlatAfter=HHMMSS let make a trading system exit positions and prevent any order before/after a specific time of day. StrategyProfit[n] indicates the gains or losses of the system at the time of the close of the nth previous bar. 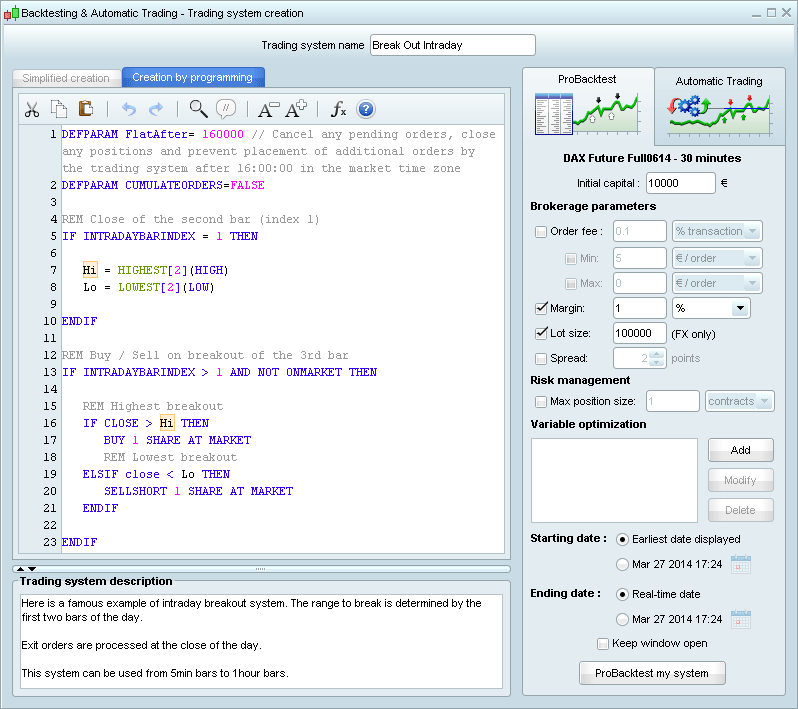 To learn more about the changes to the ProBacktest/ProOrder language in version 10, check the programming changelog or the trading systems programming guide. When you select a variable, the code editor now highlights all occurrences of this variable in the entire code as shown below.